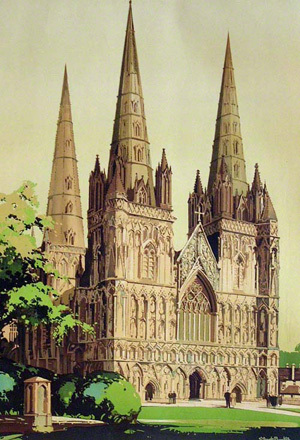 Lichfield Cathedral a railway poster produced by British railways and the London midland region before nationalisation. This illustrates the Claude Buckle technique for painting churches. This cathedral has three towers which is unusual. Created in 1935.